How long do HVAC units last and when should I replace mine? Learn the answer to those questions and more with this article! If you’re wondering “How long do HVAC units last?” then you’re not alone. This question is a common one asked among homeowners with units older than 10 years. Considering the average age of an owner-occupied home is around 35 years, the chances are good that many homeowners still have the same units that came with their homes. That means thousands upon thousands of HVACs are far past their recommended life expectancy. But what’s in a number? If these systems are still operational, then why mess with a good thing? In the following article, the Eyman Team will be answering the question of the life cycle as well as providing tips for when to stop repairing and start replacing. Air conditioning units should be replaced every 10 years. Furnaces and boilers, every 15 years. 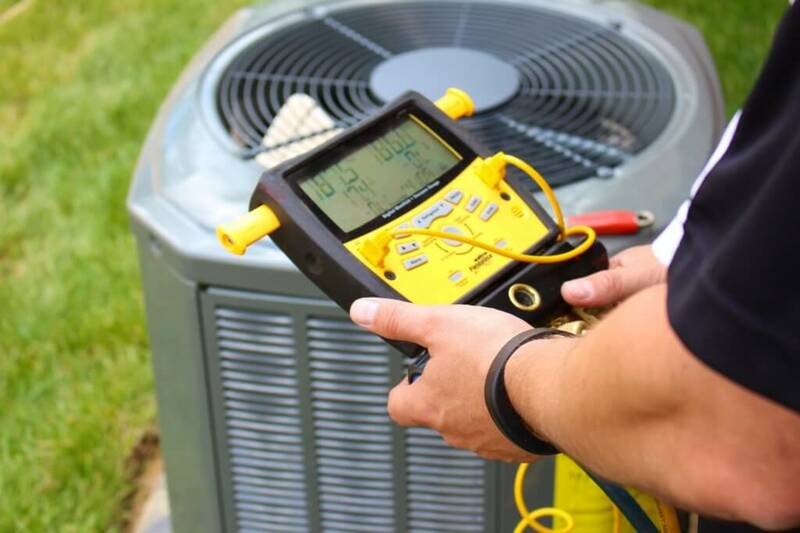 But for most skilled HVAC technicians, the question of “How long do HVAC units last?” will have another answer. The short version: as long as it makes sense. Some units 20 and even 30 years old are operating fine with regular maintenance. Others may need frequent attention at barely 10. To help customers get a handle on it, Eyman warns their customers of the following signs. When customers start to notice a change in humidity levels or mildew and excessive dust, they could be looking at an HVAC problem well beyond hope. Mold, also. In its best state, your HVAC system will run like a purring kitten. Well, maybe not that quiet, but it’ll have a distinctive hum to it that lets you know all is working properly. It’s when you start noticing sounds outside the norm that you should start to worry. Grinding and squealing, particularly during starts and stops, are indicators of a problem where replacement is your best option. Smells are tricky because you can’t be sure right away whether they’re related to the HVAC system itself. Mold, for instance, has a distinct smell to it. But it could be caused by an unrelated issue like a hole in the roof. Two of the most common indicators under the smell test: mold smells that originate in your ductwork or wiring that has melted. It’s easy to forget about a bill after you pay it. Don’t. Hold onto those bills and once or twice per year, compare them to the same time period the previous year(s). Notice a 20 percent or 30 percent increase? Your HVAC system may still be operational, but it’s doing its own “death by a thousand cuts” to your family budget. You’ll save money by doing a full replacement. The question should be, “When does it make sense to replace?” If you’re paying more and having any of the problems listed above, then it’s time to consider hiring experienced pros like the Eyman Team. For over 60 years, we’ve served the Greater Omaha region through both repairs and replacements — whatever makes sense for customers and their budgets. Reach out for a free consultation to determine your best option.